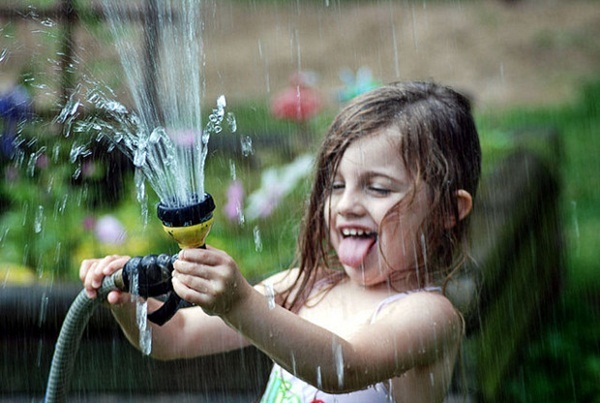 Kids really love water and we also do it. Actually water gives a great sensation of relief in the summer seasons. Moreover it also helps in keeping our body cool. Swimming in the sea to splashing in the stream each of them gives us a real joyful experience. Even we all enjoy getting wet in the rain. But every possible enjoyment is not always the safe one. Specially, when you are engaging your kids in the same activity, you will have to keep in mind about the safety measures. But that doesn’t means that your kids will have to stay far from water or they will have to stay away from all the enjoyments. 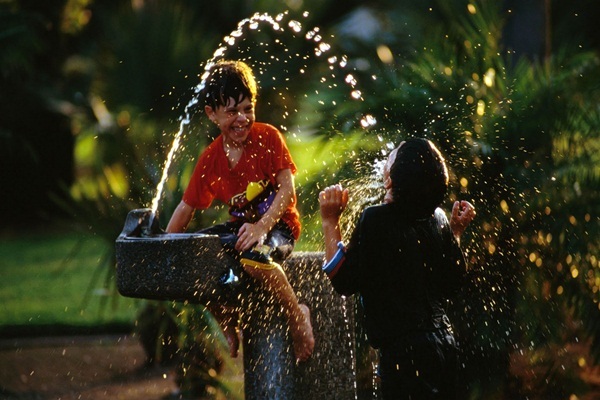 There are ways to play with water which can give your kids a lot of enjoyment and also with a lot of safety. Let’s look into it. 1. Jump Water: This game is really interesting and can be enjoyed by every family member. 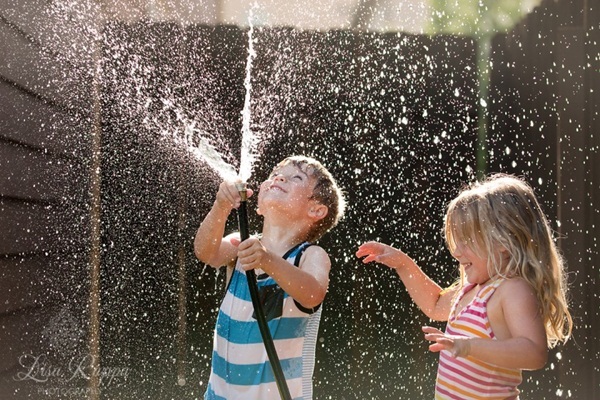 Run a strong stream of water from your garden hose back. 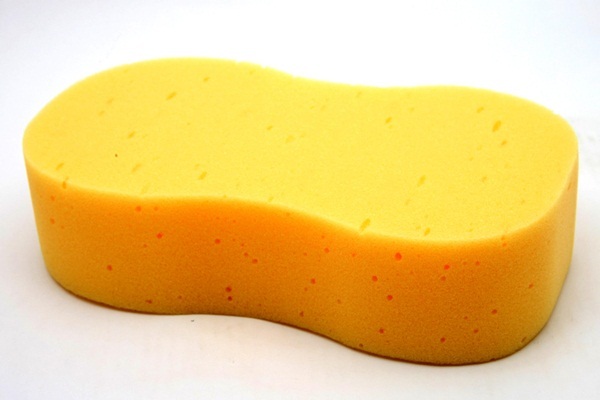 Now allow your child to jump over it to create a fountain like experience. Even you can turn it into a competition by telling them whoever’s feet don’t get’s drenched will actually win. 2. Backyard Bath: Yes its summer and we are experiencing a very hot weather. So take advantage of a summer evening by bathing your kid outdoors. Simply fill a kid bath pool with water and provide some bath toys in it to make it more interesting. They will really enjoy the flavor of bubbles. 3. Ball Blast: Use some ropes and create circle or square in your lawn with it. Place some balls inside it. Now the funniest part of this game is that give your child a hose pipe and challenge him or her to push the balls out from it. Even you can bind them with time. They will really enjoy playing the game. 4. 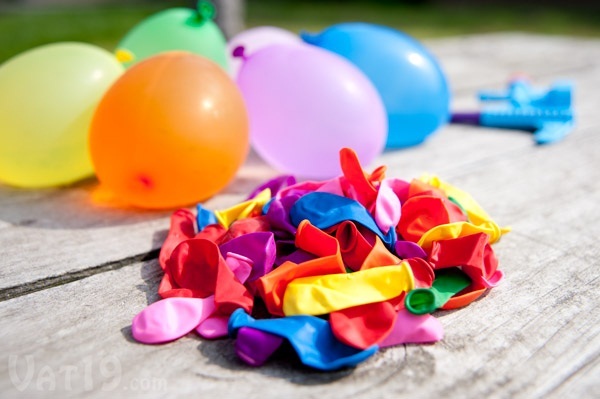 Balloon Babies: Bring out some water balloons and fill it with water. Draw a face on the balloon with dark markers. Now wrap the balloon with a paper towel. Now handover the balloon to your kid as their baby. Now the game is that you have to see how long they can take care of it before it bursts out. But this game is only suitable for the kids above 4 years. 5. Water Gun Tags: Now it’s going to be a twist. 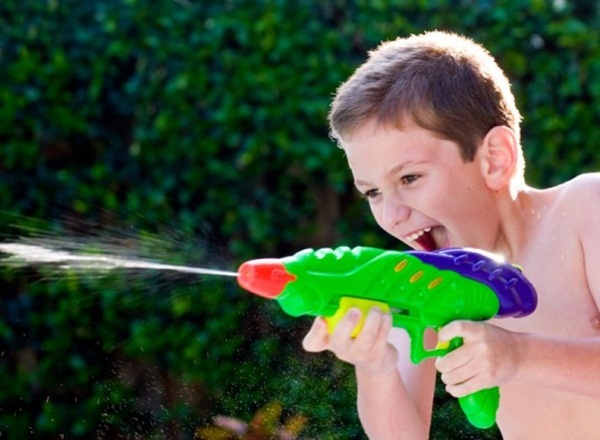 You have to arrange for a water gun for your kid to make them play the game. So whoever gets the water gun will target other players with a real cold squirt. It’s an amazing experience for the kids. 6. 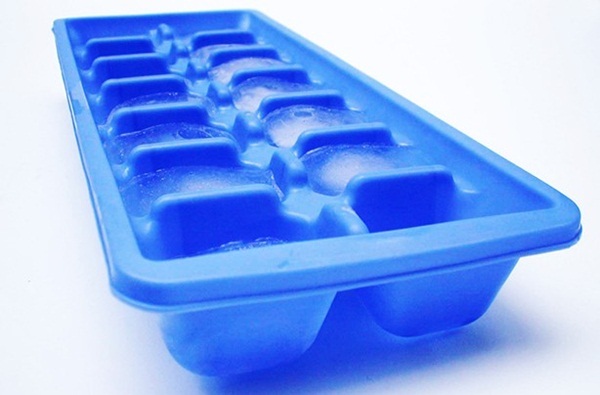 Freeze Up: Take out the plastic cube tray from your refrigerator and place small toys, cars, plastic bugs etc. on the cubes and fill it with water and then freeze. When it completely freezes out handover the cubes of ice to your kids and tell them to hold it in their hands till the cube melts and they get the toy. They will really get mad to get the toy. 8. 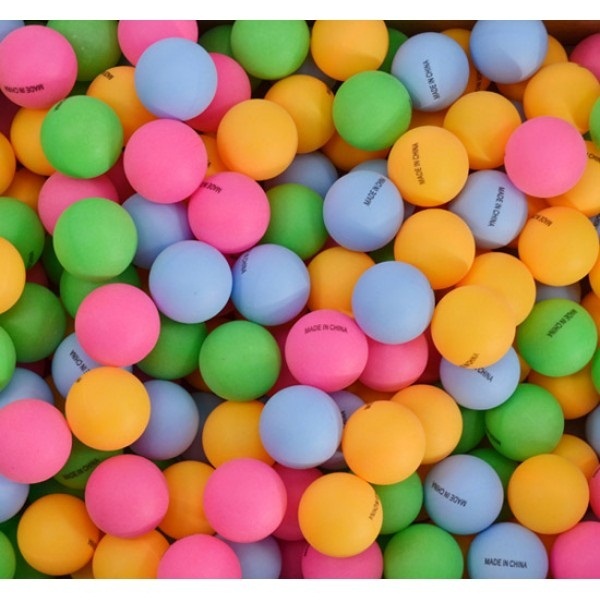 Pool Ping-Pong: This one is quite interesting as you will have to float an inner tube in the center of the pool and then add a bunch of ping-pong balls in the water. Kids those who know to swim can jump in and retrieve the balls and try to toss them in the tube. 9. Rainbow Spray: You kids can really help you in the gardening procedure. Tell them to water the plants with a spray bottle. 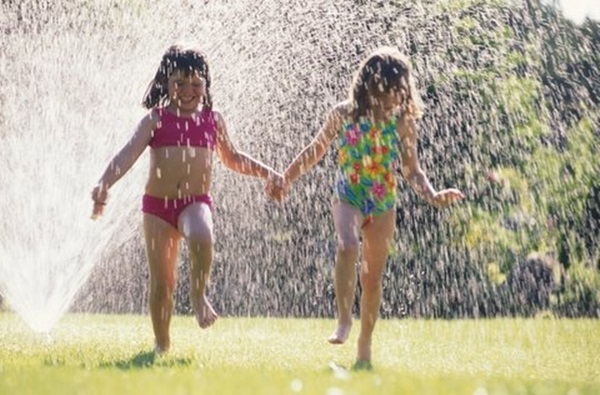 If your kid is a little bigger, then give them the whole hose pipe and if it’s a sunny day then let them get wet. In addition show them how a rainbow can be spotted in the mist. 10. 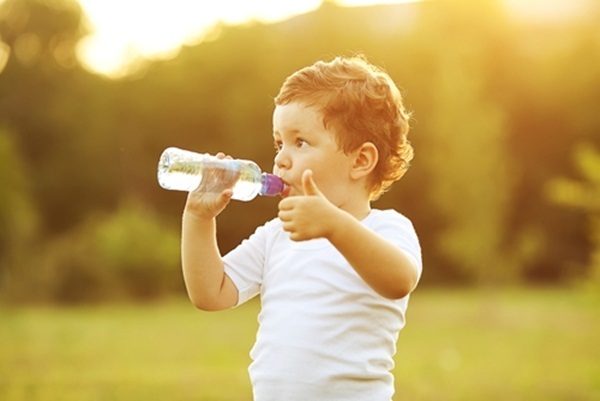 Drink Up: Encourage your child to make out different types of flavored water with different ingredients. Include lemon, slices of cucumber, orange and various types of berries and see which is the most favorite of your kid. Yes really this is like a game. 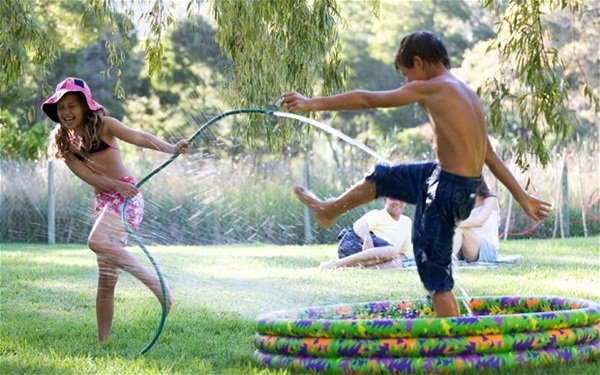 Make your kid’s summer a bit cool with real water games for them. If you really want them to stay safe and enjoy the fun of water, then obviously you should try out each one of these from the list above. Obviously you and your child is going to enjoy it.